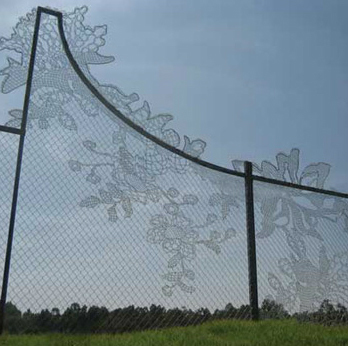 An ingenious Dutch Design House has come up with a way to turn ugly chain link fences into works of art and design combining the ancient art of lacemaking with ugly chain link. The Results? Art meets Utility! 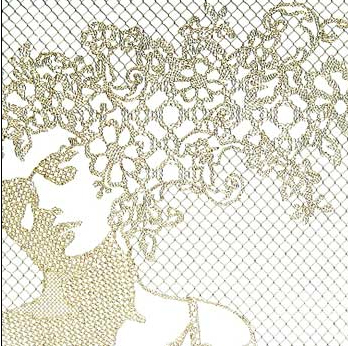 Go to their website to see what they call Lace Fences. Imagine what this could do to a schoolyard or a park. 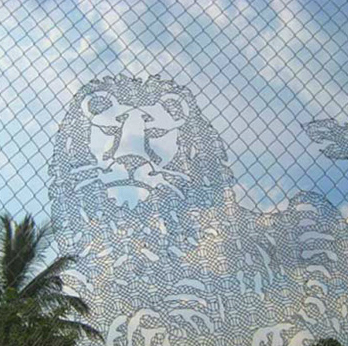 Imagine how it would change how people inside the fences would view themselves.